We’re looking forward to providing our HTC One X and HTC One S customers with Android 4.1 (Jelly Bean) along with our latest version of HTC Sense. As with any software upgrade, we work closely with our carrier partners to ensure we deliver the best experience possible on our devices. After internal testing, we test the software on live networks in order to confirm the experience matches our expectations, and carrier expectations, for performance, connectivity and platform stability. While testing takes time, we’re working quickly with our carrier partners to rollout these updates. We’ll provide information on availability once the software is ready for release. Our goal is to make sure that an upgrade provides an improved customer experience and that means a high standard of quality for hardware compatibility, adapting device or carrier specific customizations, testing by HTC and partners, addressing device hardware constraints, and many other factors. The last note is that all devices updated to Android 4.1, will include the HTC Sense 4+ update. Good so my One S will get it, cool. Is there a link to the actual news that I’m missing? Yup, the “HTC” link at the end of the post. it’s ok david, some people just don’t pay attention. He fixed it after I commented. That link looped back to this story page. I didn’t change it at all, I haven’t looked at it since I posted it, is it still working? So what about the HTC amaze? around for years and you should have gotten that. point is, don’t expect free OS upgrades because the manufacturers don’t owe you jack…..
I’m still hoping for JB to come to the Amaze. point is, don’t expect free OS upgrades because the manufacturers don’t owe you jack. how many times are you going to copy and paste your message. dude were you punched as a baby? No, okay just dropped on your head; that makes sense now. too many negative people, especially on a positive note! 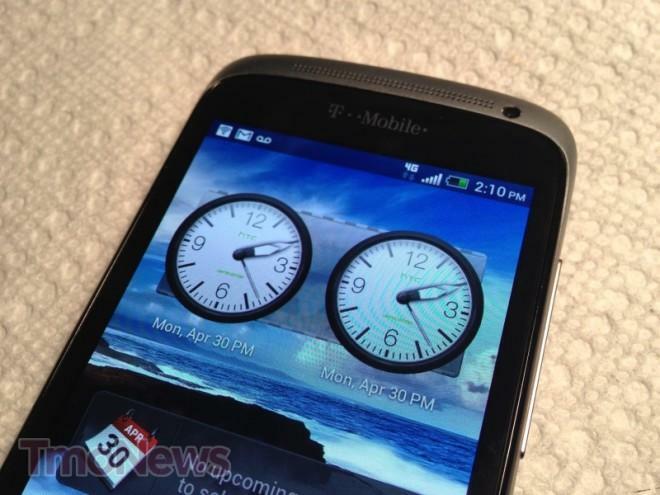 Most readers are questioning this quote above, so that’s why they’re hoping the HTC AMAZE 4G gets the JB update. Trust me that phone needs the touch of 4.0+ update, where as the ICS has caused the phone to lag on sense. I believe the smooth butter feeling would prove it greatly, and it has the same 1 GB of internal memory as the ONE S. However I know that HTC is hurting on sales, and would rather they push its fanbase into an upgrade instead, and not push out an official update to JB on the AMAZE. you can be sure that upgrade will NOT be to a HTC device.Why buy from a manufacturer who cannot support their own $h1t ? Besides, google nexus beats them in spec, is much cheaper and no contract. And they actually update the s/w. HTC should update the Amaze. First of all, the spec fit for upgrade. Second, it came out at the 4th quarter of 2011, many people have 2 years contracts, so none of the Amaze owners will buy a new phone anytime soon. Third, if you want return customers, you have to provide better support for your products. Samsung will provide JB to its galaxy SII (it came out about the same time as Amaze), Apple provided new ios6 even to the iphone 3GS. If HTC want me to buy their phone again in the future, they better support their products. I hope the thunderbolt gets 4.1! We waited this long! point is, don’t expect free OS upgrades because the manufacturers don’t owe you jack…. and yet no timetable revealed. I’ve got Android 4.0(ICS) on my Amaze, but not Sense 4.0 and I’m pretty sure that even if Android 4.1(JB) comes to my Amaze I’m still going to be stuck with the same version of Sense. Whatever, as long JB comes to my amaze, I’ll be happy. point is, don’t expect free OS upgrades because the manufacturers don’t owe you jack..
I’m highly doubtful that we’ll see JB on the Amaze, especially if the excuse is they’re checking with the carrier. I’ve learned to accept that only Google does updates well. Dude shut the hell up with this comment already. i really dont need an update, but i’m obsessed with updating. yay.